This one is a real blast from the past! One of my very first published designs, these appeared in Issue 34 of Inside Crochet magazine. I had completely forgotten about them, until I unearthed the original samples in a box under the bed (never be surprised by what lurks under the bed)! I’ve decided to share the original patterns with you here for free. They are very simple, and please don’t stress about little things like matching correct yarn, tension or exact hook size. Of course these things matter, but in the great scheme of things, a slight difference in tension won’t make a great deal of difference, it might affect the amount of yarn you use or the drape, but as you’ll most likely be diving into your stash and then soaking these in hot soapy water, don’t worry too much. These are ideal for swatching new projects, trying out new stitch patterns and they make perfect gifts. I like to use an organic 100% cotton for babies or facial use, but for the kitchen I’ll use any 100% cotton. In fact, you can even buy “dishcloth” cotton, sold just for this purpose. The yarn used for these cloths might seem a little over luxurious for a humble washcloth (85% cotton, 10% silk and 5% cashmere), but they have washed and worn so well I’ve been very pleased with them and would use it again. I had the yarn in my stash, left over from a baby blanket and this was the perfect way to use it up. Today, my pattern writing is a little more sophisticated, but it’s still good enough to reproduce here. I was so proud when it first appeared in print and so excited to see the photos in Inside Crochet. They were taken by my talented friend and “tame photographer” Andrea Ellison. I often make these as gifts. But, over the years I’ve learned to add a little note, reassuring the recipient they can (and are meant to be used). They do make perfect photo props, draped over the side of a Butlers sink or arranged on a scrubbed pine table, but there’s no fun in things that can’t be used or enjoyed is there! If you do make a washcloth, perhaps you’d be kind enough to share a photo on Instagram, Twitter or Facebook. Or, if you’re on Ravelry, clicking the heart button or adding the project to your queue is much appreciated. Tension: Tension is not critical to this project, your work should drape slightly and row count can be adjusted to make a square. Work 30st and 30 rows in single loop pattern to measure 18x18cm or 7x7in using 4mm hook, or size required to obtain tension. Each washcloth needs approximately 50m of DK cotton, a full ball of recommended yarn will make one washcloth plus trim for a second. 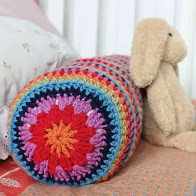 Left over yarn can be used to make striped washcloths. Row 3: 1ch, 1dc, 1dcflo into each stitch to last st, 1dc, turn. Row 5: 1ch, dc in first dc * 1 dtr in next dc, 1 dc, repeat from * to end. Turn. Repeat Rows 2 – 5 for pattern. With 4mm hook make 31 ch. Work single loop pattern until work is roughly square (about 28 rows), finish with Row 2. 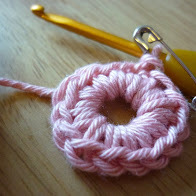 Edging: Work one row of double crochet, at the end of the row, do not turn. 1ch and turn to work 30dc evenly along side of washcloth,1ch at corner, work 30dc evenly across bottom (working into underside of foundation chain), 1ch and work 30dc evenly along second side,. Fasten off. 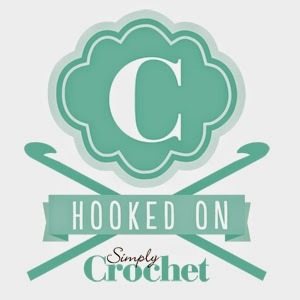 With 4mm hook and Blue, make 32 ch, turn. Work Mock Bobble pattern until work is roughly square (about 28 rows), finish with Row 4. Refer to ball band for washing and pressing instructions.